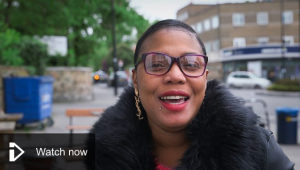 In case you missed it – A Matter of Life and Debt is a BBC documentary series about credit unions and other responsible lenders across the UK, telling the stories of people whose lives have been transformed by an ethical loan. The series is on every week day, BBC One 11am, repeated on BBC Two 7.30am and available on BBC iPlayer. If you’ve seen the programme and want to join credit union, that’s great! Click here to join as a saver. Click here if you would like to apply for a loan.